Want to download Instagram photos and videos on android but don’t know how? Then this article is definitely for you. Instagram is trending nowadays where people share their photos and videos. Unfortunately, it doesn’t provide the facility to download them. So, some tricks on how to download Instagram photos and videos on your android. Tips and tricks to download Instagram photos and videos on Android. All you need is just an application. Yes, downloading Instagram photos and videos on your android phone is as easy as operating any other application. Here are some applications to download Instagram photos and videos on Android. 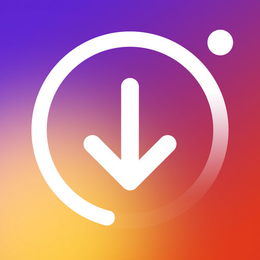 Note: If you want to download Instagram photos and videos without Instagram downloader app then this Instagram downloader online will be the best option to download Instagram photos and videos online. 1. IV Saver Photo and Video Download Repost for Instagram. This tool which allows you to automatically download Photos and Videos from Instagram. Just click on “Copy Share URL” on Instagram and full post will be permanently stored on your android. Click on the Insta Downloader App and open it. Now, click on the middle button present on your home screen and minimize the app. Go to your Instagram account and select any photo or video of your choice which you want to save. Click on the options button and then tap on Copy Share URL. Finally, open Insta Downloader after notification appear and your work is done. Here’s another application which does the same work. Inst Download also allows you to download videos and photos from Instagram’s links. Open your Instagram and select the photo or video which you want to download. Now click on the three vertical dots present on its top right corner and select the Copy and Share URL option. Open Inst Download app and paste the copied URL into the space provided. After that set the name and path for your photo and video according to your choice. Your desired photo or video will be downloaded and saved on your android. Who would imagine that downloading photos or videos from Instagram could be so easy? There are more similar applications like the above two but these two are among the best. I know being a social butterfly is all you love now but I would suggest if you get out of these trending social apps and enjoy your real life. Do comment in the comment section below if you know better ways to do the same work or if you things we have missed something.